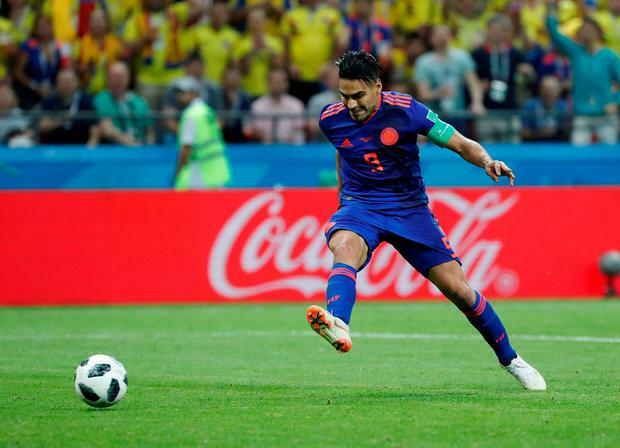 Colombia's World Cup campaign roared back into life on a sweltering evening at the Kazan Arena with a commanding victory which sent the Poles tumbling out of the tournament. Defender Yerry Mina opened the scoring in the 40th minute, with captain Radamel Falcao and winger Juan Cuadrado sealing a deserved victory with two goals in five minutes as the desperate Poles chased the game in the last quarter. Midfielder James Rodriguez, winner of the Golden Boot at the last World Cup, returned to the starting line-up after injury and played a part in two of the goals as Colombia got back on track after their opening loss to Japan. The victory puts Colombia in third place in the group on three points behind the Japanese and Senegal, who shared a 2-2 draw earlier yesterday to move to four points apiece. A victory over Senegal in their final first-round match in Samara on Thursday would secure Colombia a spot in the last 16 as they target at least matching their charge to the quarter-finals in Brazil four years ago. 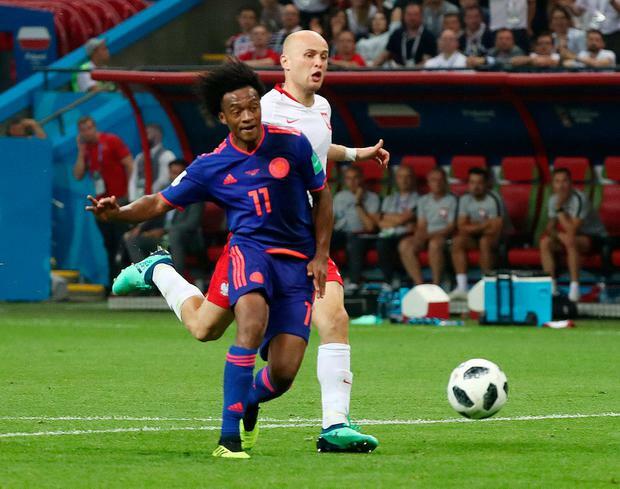 The match started to a barrage of noise from the Colombian fans and the early exchanges were frenetic with Poland putting in some physical challenges and Robert Lewandowski getting close attention from the Colombian defence. Poland's attacking tactics were limited to launching long balls towards their prolific striker, and although Colombia were trying to play the ball on the floor they could not get their passes to stick. Poland pushed forward to try and get back into the game and five minutes later were caught on the break by the Colombians, with Rodriguez rasping a pass across the field to allow Cuadrado fitting reward for a fine performance.